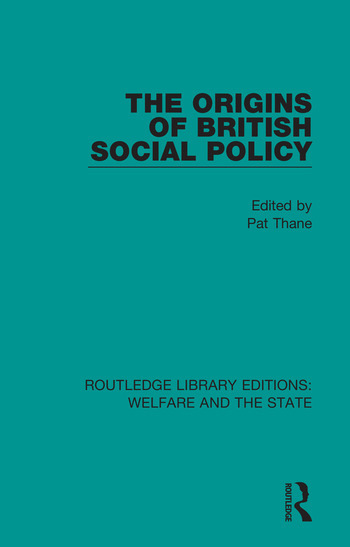 Originally published in 1978 The Origins of British Social Policy arose dissatisfaction with conventional approaches to the subject of welfare responsibilities in the state. This volume stresses the complexity of conscious and unconscious influences upon policy, which include such political imperatives as the wish to maintain social order, to maintain and increase economic and military efficiency and to preserve and strengthen the family as a central social institution. It suggests that the break between unsympathetic nineteenth-century Poor Law attitudes towards the poor and modern ‘welfare state’ approaches has been less sharp or complete than is often assumed.